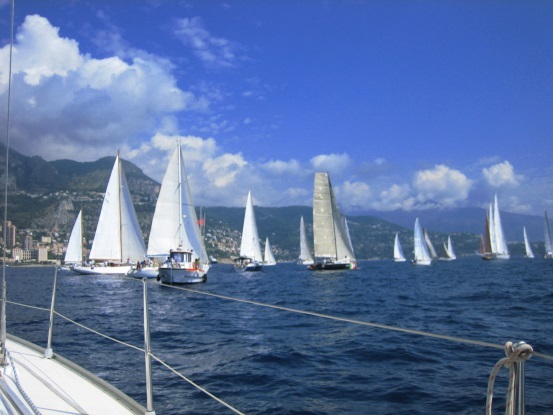 More than 30 boats participated to the Monaco-Portofino Regatta on August 24-25. A geat sailing event that have seen the participation of more than 100 Naval Academy Italian cadets on seven beautiful classic yachts of the Italian Navy. Altough the strong winds with raffles exceeding the 30 knots, and a thunderstorm on the final miles, people enjoyed the experience and the prizing ceremony. Kauris III was the first in 8h7'; the first IYFR sailboat was Dindi of the Italy NW fleet rear commodore Salvatore Sarpero with onboard the IC Sergio Santi. The regatta was aimed to support the Marafiki Primary School of the Kadaina Isle in Kenya.